The Congress party will contest the upcoming Lok Sabha elections in Uttar Pradesh alone. 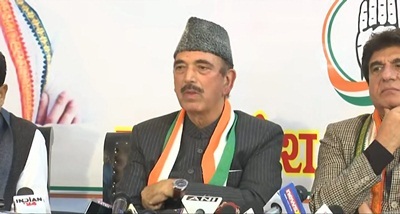 This was announced at a press conference by All India Congress Committee General Secretary Ghulam Nabi Azad and Uttar Pradesh Congress Committee President Raj Babbar in Lucknow today. Mr Azad refuted charges that the Congress did nothing for the poor, dalits, minorities and backward classes. He said, Congress united the country which was divided into many parts.